Born on April 1, 1965 in Baku. From early childhood, visiting a sculpture circle at the Palace of Pioneers and Schoolchildren named after Yuri Gagarin, he knew that sculpture is what he wants to do all his life. 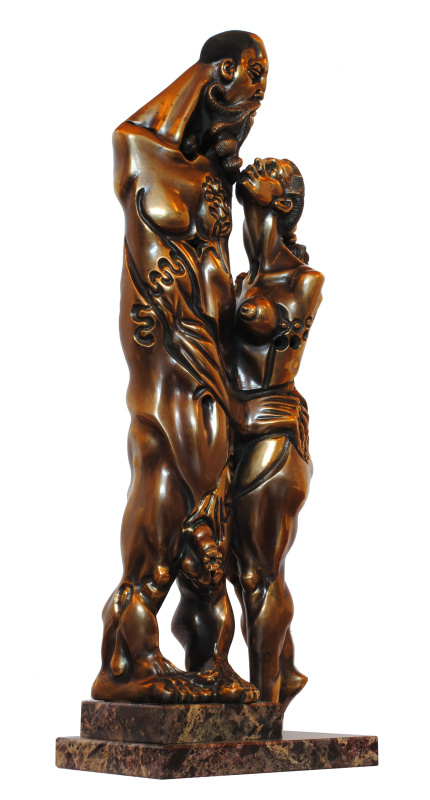 At eleven years old, Alexander Samvel became a student of one of Baku’s most talented sculptors, Rafael Akopov (Member of the USSR Union of Artists). It was to him that the master conveyed what he knew and felt. If his teacher were alive today, he would be proud of his student, who never changed his vocation and did not trade talent for money. After the age of eight, at the age of 15, Alexander entered the Saratov Art School named after A.P. Bogolyubov at the Faculty of Sculpture. Graduation work at the end of the school was rated as "excellent." Then there was military service in the city of Kovrov in the 53rd Guards Moscow-Tartu Red Banner Training Motorized Rifle Division. Having passed the "training" was left in the division, became the commander of the department in the rank of sergeant, a mechanic — a driver of class II BM -578. He was awarded the badge "Excellent CA". Demobilized in 1987, Alexander felt the changes in the multi-ethnic city. These changes were the forerunner of perestroika, which later covered the whole empire. After the events in Sumgait (February 1988) and their continuation in Baku, the family was forced to leave Baku, temporarily moving to Armenia. 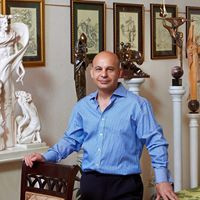 In Yerevan, Alexander, despite the difficult financial situation, decides to continue his education and in 1989 enters the Yerevan Art and Theater Institute at the faculty of sculpture in the workshop of Sarkis Bagdasaryan, the national artist of Arm.SSR. Diploma work at the end of the institute would be rated as "excellent". Starting to study at the institute, Alexander worked in parallel at the porcelain factory, where he became friends with the chief technologist and chief artist of the plant. They gladly apprehended a young enthusiast — a sculptor who told them about his dream — to get a sculpture made of porcelain, which excluded replication with the help of complex technological methods. All this he wanted to achieve in a year. Older comrades with irony took this idea, trying to explain that to implement this idea takes years of work and porcelain is 99% of the technology, and only then art. It is almost impossible to obtain not replicable, but creative works, because they do not mold from porcelain, but cast it, and much also depends on the chemical-technological process and the effect of 1200 ° on the product — the sculpture. Mutual sympathy led to the fact that these two people in a very short time taught the young sculptor a lot. 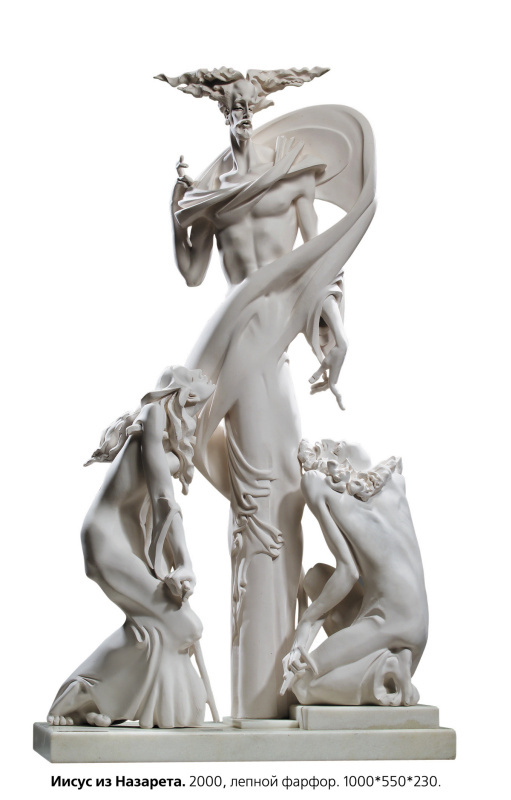 Thanks to their knowledge, good attitude and obsession of the young sculptor, it was possible to do the impossible — to get frameless sculpture in the technique of molded porcelain. After the terrible earthquake in Spitak, Kirovakan and Leninakan on December 7, 1988, the energy and economic blockade, in which Armenia found itself, Alexander came to Ekaterinburg in 1993, having gone on academic leave at the institute. In Yekaterinburg, he creates a workshop where he continues to work and experiment with porcelain. In the workshop he builds a porcelain roasting stove, similar to the German Naber stove, which he worked at at the Yerevan Porcelain Factory. Thanks to the raw material base, which was in the Urals (Bogdanovichsky and Sysertsky porcelain factories, ceramic products factory) and in Russia, Alexander resumes his creative activity and creates a number of complex philosophical compositions on biblical themes, as well as on the images of world literature and the philosophical theme of the frontier, following the idea of symbolism in sculpture. The collapse of the USSR continued, and the echo of perestroika reached the Urals. With the beginning of privatization, Alexander loses his workshop, in which he invested his soul and his material resources. He is faced with an acute question — whether to stay in Russia or not. Seeing how many leave the country, he decides to stay. To go all the way to the end, to understand what will happen to his homeland and multinational culture. To see, hear and feel in unison with the time in which he lives, speak the language in which he thinks. In the "dashing" 90s, the sculptor, who lost his workshop, acquires an emergency building at auction, demolishes it and builds a new museum — a workshop, on the second floor of which his works are located, as well as a collection of paintings he has collected. Since 1998, a member of the Union of Artists of Russia. Participant of creative exhibitions, marked by government awards. Works are in the state museums of Irbit and N. Tagil, as well as in private collections in Russia and abroad. About Alexander Samvel on SGTRK filmed the documentary "The Babylonian wanderer." Years later, he will say: "If you believe in good, then there are good people on your life path, despite the difficult circumstances. They contribute to the realization of a creative dream — composition. I do not regret what happened to me. If I were returned back to the beginning of my journey — I would again choose this road. Thanks to this, I came to those compositions that I have. To the depths of the soul, he realized those spiritual foundations that nourish and enrich a multi-national empire and influence the creator in any sphere of his activity. Being born and brought up in an atheistic society, being between two great religions (Christianity and Islam), my path led me to a single Lord, who has no nationality. We are all children of something bigger, regardless of skin color and cut eyes. "